Following two weeks of mounting speculation over the FBI's so-called "mole" inside the Trump campaign, the New York Times and Washington Post published separate accounts on Friday detailing the infiltration of the Trump campaign - a scheme revealed in a Wednesday report by the New York Times in which "at least one government informant met several times with Mr. Page and Mr. Papadopoulos." The Wednesday report also disclosed the existence of "Operation Crossfire Hurricane" - the FBI's code name for their early Trump-Russia investigation. 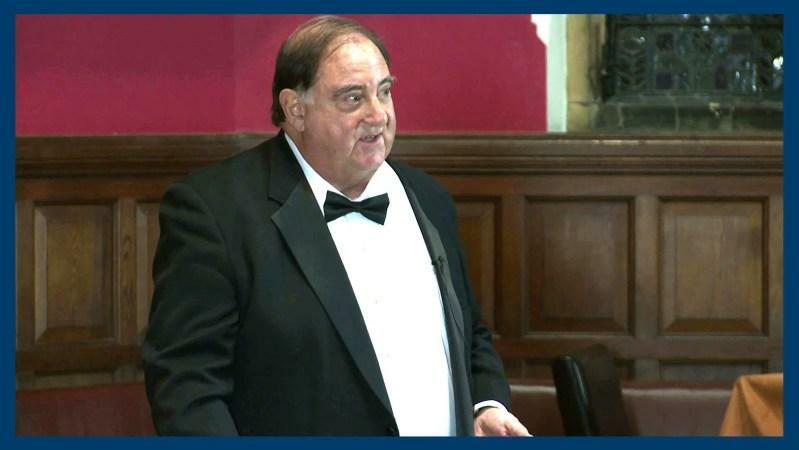 Thanks to Friday's carefully crafted deep-state disclosures by WaPo and the Times, along with actual reporting by the Daily Caller's Chuck Ross, we now know it wasn't a mole at all - but 73-year-old University of Cambridge professor Stefan Halper, a US citizen, political veteran and longtime US Intelligence asset enlisted by the FBI to befriend and spy on three members of the Trump campaign during the 2016 US election. While Halper's name remains undisclosed by the NYT and WaPo, a quick read of all three articles linked above makes it abundantly clear that the "American academic who teaches in Britain" described by The Times, who "met several times with Mr. Page and Mr. Papadopoulos" is none other than Halper - whose meetings with the Trump aides were revealed by the Daily Caller's Chuck Ross in late March. Two months before the 2016 election, George Papadopoulos received a strange request for a meeting in London, one of several the young Trump adviser would be offered — and he would accept — during the presidential campaign. The meeting request, which has not been reported until now, came from Stefan Halper, a foreign policy expert and Cambridge professor with connections to the CIA and its British counterpart, MI6. These contacts are notable, as Halper's infiltration of the Trump campaign corresponds with the two of the four targets of the FBI's Operation Crossfire Hurricane - in which the agency sent counterintelligence agent Peter Strzok and others to a London meeting in the Summer of 2016 with former Australian diplomat Alexander Downer - who says Papadopoulos drunkenly admitted to knowing that the Russians had Hillary Clinton's emails. Interestingly Downer - the source of the Papadopoulos intel, and Halper - who conned Papadopoulos months later, are linked through UK-based Haklyut & Co. an opposition research and intelligence firm - founded by three former British intelligence operatives in 1995 to provide the kind of otherwise inaccessible research for which select governments and Fortune 500 corporations pay huge sums. Also interesting via Lifezette - "Downer is not the only Clinton fan in Hakluyt. Federal contribution records show several of the firm’s U.S. representatives made large contributions to two of Hillary Clinton’s 2016 campaign organizations." Halper contacted Papadopoulos on September 2, 2016 according to The Caller - flying him out to London to work on a policy paper on energy issues in Turkey, Cyprus and Israel - for which he was ultimately paid $3,000. Papadopoulos met Halper several times during his stay, "having dinner one night at the Travellers Club, and Old London gentleman's club frequented by international diplomats." A third target of Halper's was Trump campaign co-chairman Sam Clovis, whose name was revealed by the Washington Post on Friday. After attending Stanford and Oxford, Halper worked for the Nixon administration, where he ended up in the Office of Management and Budget as an Assistant Director, then moved to the Chief of Staff's office in the Carter White House from 1974-1977. Halper was involved in US politics at the highest levels for decades, becoming George H.W. Bush's National Director for Policy Development during his presidential campaign. After Bush lost to Reagan, Halper worked as Reagan's Deputy Assistant Secretary of State - where he served under three different Secretaries. He then became a senior advisor to the Department of Defense and DOJ between 1984 and 2001. Halper's former father-in-law was Ray Cline, former Deputy Director of the CIA. He also allegedly spied on the Carter administration - collecting information on foreign policy (an account disputed by Ray Cline). As one can clearly see, Halper has been around the block a few times. We can't imagine he thought his legacy would be cast as the man who infiltrated the Trump campaign in what is shaping up to be the largest political corruption scandal in the history of the United States, which of course would have been swept under the rug had Hillary simply won the election as all the "experts" predicted. I'm sure you are grateful Obama's FBI planted an "informant" to protect your campaign. Thank goodness the NY Times and Washington Post figured it out! Did the FBI use informants in the Hillary Clinton investigation?